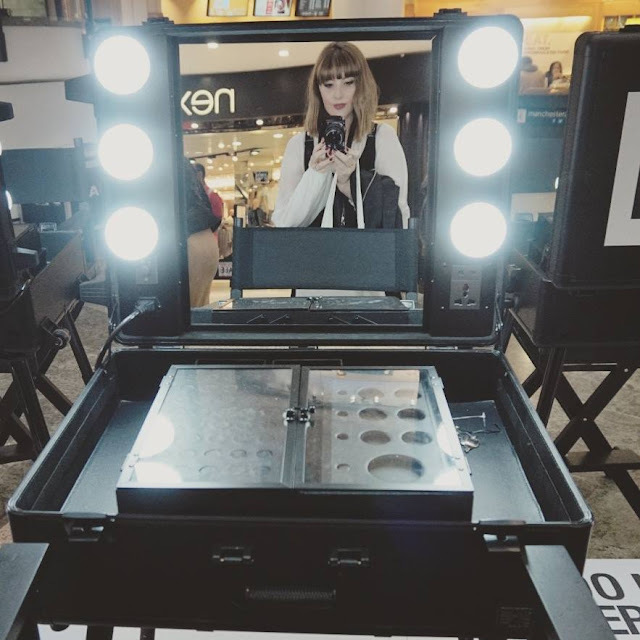 I was first told about the MCR Made up event at the city's Manchester Arndale Centre last month, and ever since I had been beyond excited to see how it was going to turn out. The idea behind the event, was to show case the centres many and varied beauty stores. Manchester Arndale has held a succession of fab events over recent months, focusing mainly on fashion, so they thought it was high time to big up the beauty! 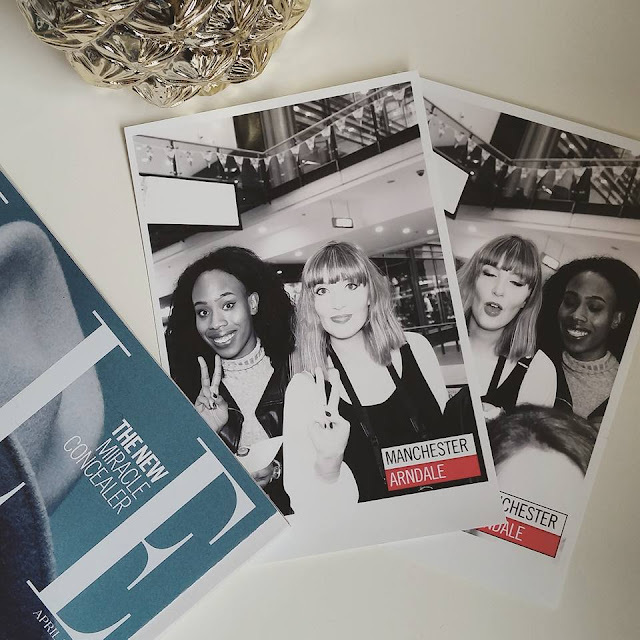 The event was held last weekend, although us bloggers, along with a few competition winners, had a special preview of MCR Made up on the Friday night. 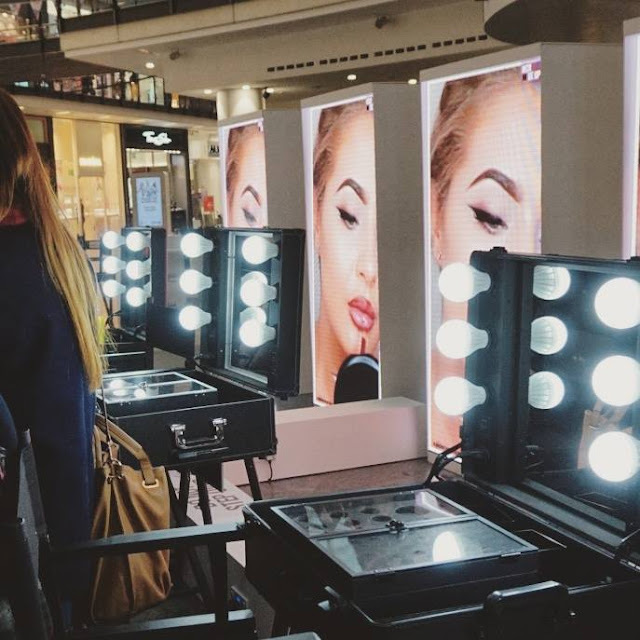 It was held in the space outside the big Next store, it's a great location, bang in the centre and if you were in Manchester Arndale at the weekend, you couldn't have missed it! They had a very special guest, the superstar vlogger Jamie Genevieve, who is not only beautiful and talented, but also absolutely hilarious and had us all in stitches. She had designed some fab make up looks inspired by Manchester. Throughout the weekend, you could choose one of the looks to try and to top it off, take your picture at the (very flattering) selfie booth! 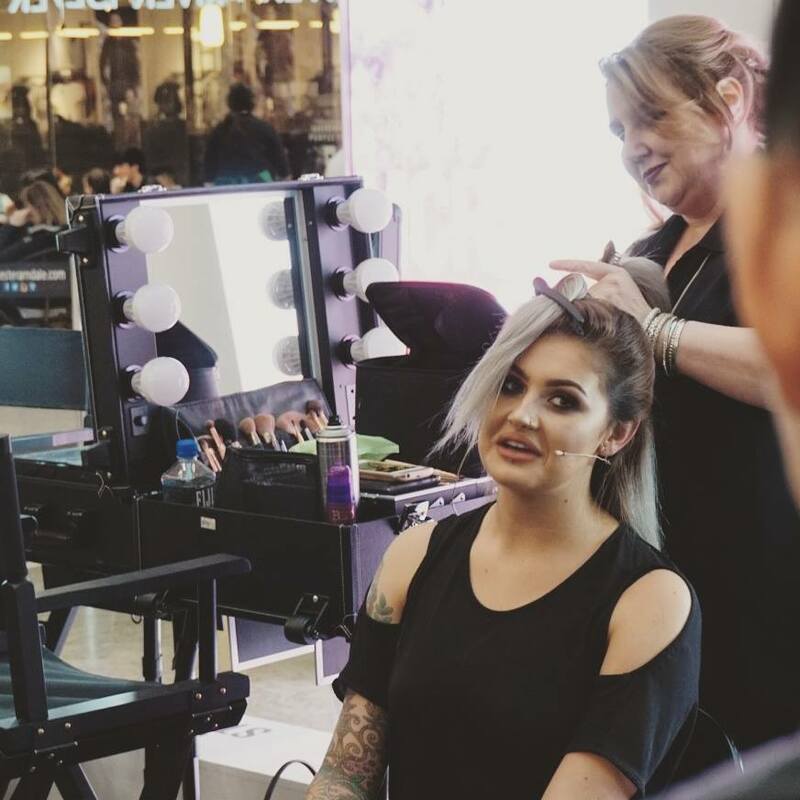 We all had a great time watching Jamie apply the Manchester make up on a lucky competition winner, who looked absolutely beautiful! 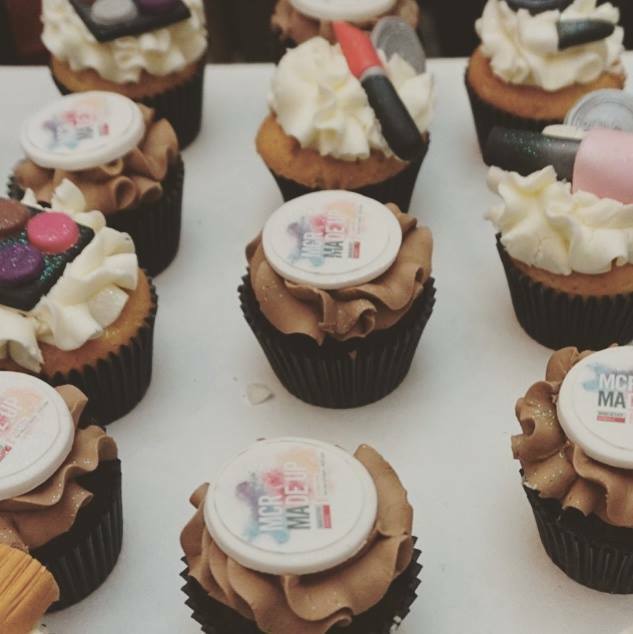 It was great to mingle with all of my blogger friends, sipping on champers and eating gorgeous cupcakes! Thanks for another great event guys!